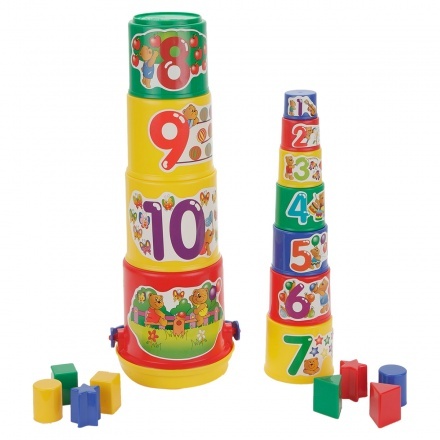 Enhance the experience of learning and interactive sessions with this stacking cups set. 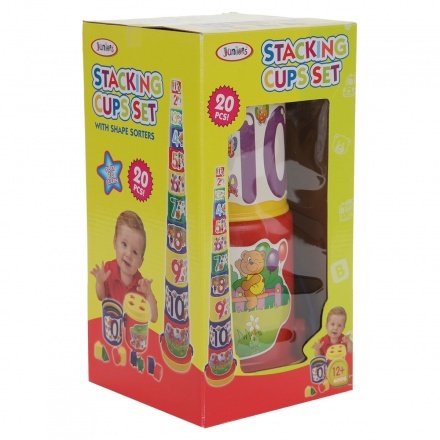 It features varied size printed cups to be stacked in a playful manner. The shape sorters add to the enjoyment.